The anterior deltoid muscles are important muscles of the body which help in developing a balanced physique, help in building strength and offer great flexibility to the body. These muscles are involved in different functional movements of the body, which play a crucial role in improving the athletic performance of an individual. Exercises for superior anterior deltoids help in improving circulation, offer great power and strength and build stamina in individuals. 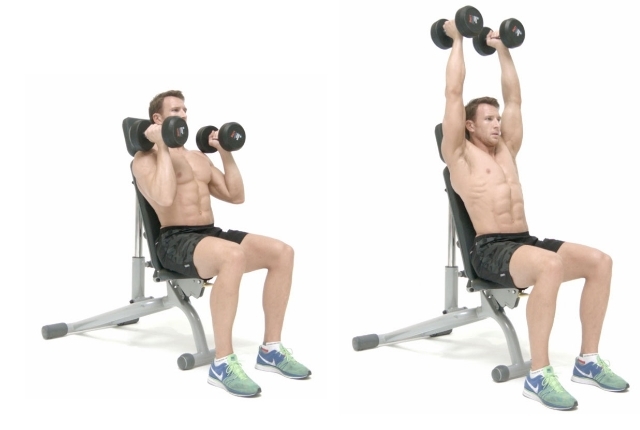 Include these exercises in your daily routine and strengthen the deltoids muscles. This exercise works on building strength and power to your anterior deltoid muscles, helping in building flexibility, endurance, and strength. For this workout, you need to start by setting the pin of pulley to the lowest level. 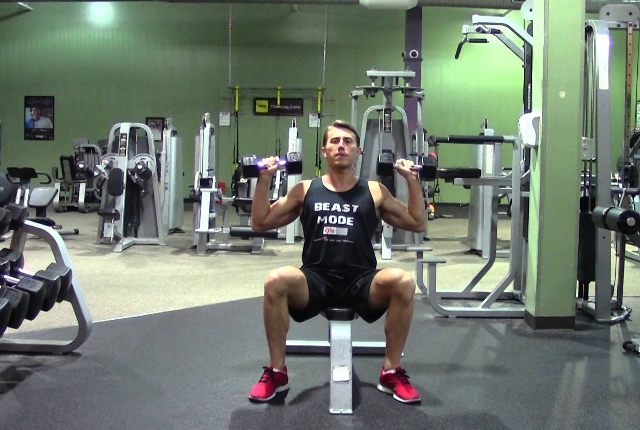 You will need to also add a bar attachment to your cable machine for this workout. You need to position your body so that you are able to face the weight stack directly. Now, hold on to the attachment with an overhead strong grip. You need to stand straight, as your knees are kept slightly bent. Your feet shall be shoulder distant apart. As you bend your elbows a bit, you need to slowly raise this attachment up, till it is at your eye level. You will inhale as you slowly pull up. You can lower the attachment down as you slowly exhale during the movement. You need to repeat at least 5-6 times. In case you are holding on a single hand, you can switch hands. To start the workout, you need to start in a plank position. You need to keep your hands outside the shoulders. You need to lower the body so that your chest touches the floor. As you start lowering to the floor, you need to slowly tuck your elbows. You need to pull them close to the body. In this position, your upper arms shall be making a 45-degree angle. This shall be quite like a bottom down position for your torso. You need to pause and slowly push back and get back to a start position as soon as you can. Your core shall be braced throughout the process. In case you find that your hips are sagging, you need to do that your form is not balanced. You should consider the last repetition and then end this set. Start by standing or sitting, as you keep your back straight. You need to grasp the dumbbells in this position. If you are seated, you should be resting the dumbbells on your knees. From this seated position, if you find the weight too heavy, you might have to slowly knee these weights in a position. Slowly move this weight to the level of your shoulders. Your palm shall face a bit forward in this position. You need to press this weight a bit vertically so that your arms are nicely extended and they are in a complete straight line with shoulders. You need to exhale through this movement. Now, slowly and steadily lower this weight and get back to the start position. You will be inhaling in this movement. Repeat at least 4 times. Start the exercise by sitting on a bench which offers a good back support. You shall hold a dumbbell in your hand. You need to sit tall as you keep your shoulders back and also down. Your feet shall be kept flat on the floor. You need to bring the arms up. 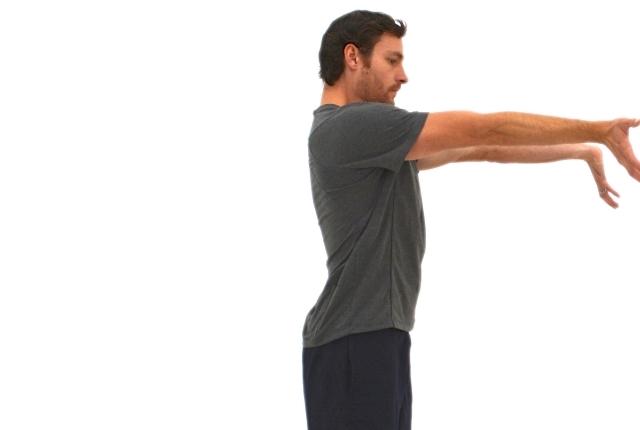 In this position, your upper arm shall be parallel to the ground. Your forearm shall be straight up towards the ceiling and your palms shall be facing forward. In this position, your arms shall be quite similar to a goal post. You will slowly press weights up and move them close to the ceiling. You will be moving the inside of your elbows close to the head as your shoulders are down. You can also lower the weights back and get back to start position. Your movements shall be in a controlled manner. This will be one repetition. You need to do 5-6 repetitions as you start the movement. This is an easy exercise and can be done by beginners too. You need to stand up straight with the chest up and your shoulders should be back. You shouldn’t be slouching when you are in this position or your posture shall not be helpful. You will slowly bring the arms just behind you. You can clasp the hands together. As you keep your hands together and just behind you, you need to slowly raise the arms till there is a good stretch in the shoulders. During this workout, your arms shall be in a straight position. Your back should be straight and your elbows locked.